Find the perfect gift for the movie lover in your life with our 2016 Home Entertainment Gift Guide! The holidays are rapidly approaching and if you’re still looking for the perfect gift for the movie love in your life, you’re likely to find a few inspiring idea somewhere in our 2016 Home Entertainment Gift Guide. Read on for a breakdown of some of the coolest 3D and 4K titles alongside the year’s best box sets, limited editions and other delights. Then, in the gallery viewer below, you can take a look at all the different titles and find links to purchase them online. We’re kicking off the 2016 Home Entertainment Gift Guide in the third dimension! Disney has a few of their recent hits available in deluxe 3D packages, including The Force Awakens, The Jungle Book and Finding Dory 3D. Meanwhile, Paramount Pictures delivers Teenage Mutant Ninja Turtles: Out of the Shadows 3D and Sony Pictures offers a dual Ghostbusters 3D & 4K set. Speaking of 4K, tech-savvy Tributes will likely want to catch Lionsgate‘s newly-released The Hunger Games 4K Collection. When it comes to boxed sets, the Sony Pictures Animation Gift Set is a great choice for families. You get 10 films (Arthur Christmas, Cloudy with a Chance of Meatballs 1 & 2, Hotel Transylvania 1 & 2, Open Season, The Pirates! Band of Misfits, The Smurfs 1 & 2 and Surf’s Up) at great price that all come housed in a special lunchbox packaging. 20th Century Fox has a pair of terrific stocking stuffers with their Aliens 30th Anniversary Edition and a special re-release Deadpool in a holiday package. The Aliens set matches the previously-released edition, but it was a pretty definitive edition to begin with. The new package includes a download-only featurette and a series of collectible postcards. 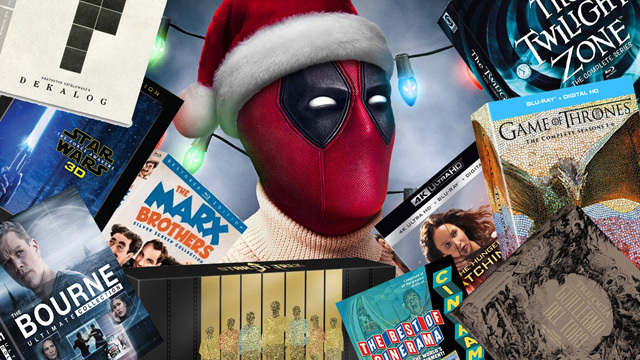 Deadpool then arrives (via Fox Connect) with a special Holiday slipcover and a Merc with a Mouth-themed Christmas card. 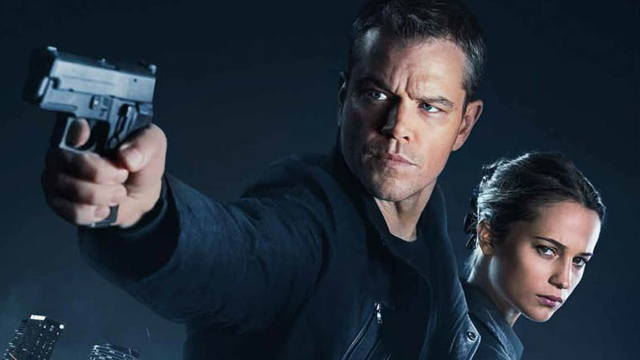 Universal Pictures collects their blockbuster franchise in The Bourne Ultimate Collection, offering all five films, including the newly-released Jason Bourne. If you know a fan of J.K. Rowling’s Wizarding World that doesn’t have the film series on Blu-ray already, Best Buy has a fantastic complete Harry Potter Steelbook Collection set to hit store shelves this week. Speaking of steelbooks, martial arts fans should be happy with the IP Man Trilogy Limited Edition Steelbook. 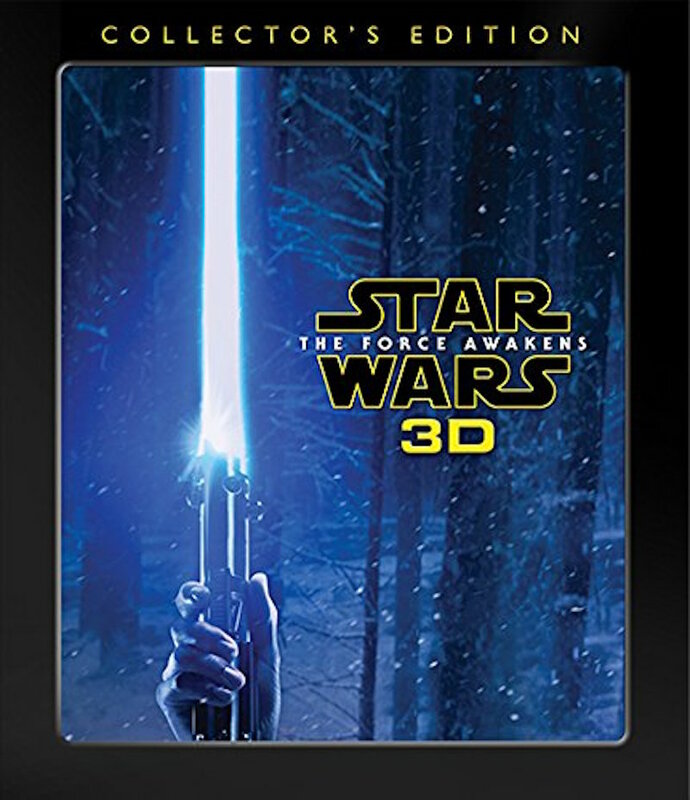 Otherwise, the UK-based website Zavvi has an incredible selection of exclusive steelbook titles. They offer very fast and cheap international shipping, but be aware: some of the discs are regionally coded and won’t play in all US players. Although audiences didn’t respond to the sequel, the original ID4 is available as an Independence Day 20th Anniversary Ultimate Collector’s Edition, which includes a statue of the alien spacecraft. If you prefer your aliens of the friendly robot variety, there’s also The Iron Giant: Signature Edition Ultimate Collector’s Edition, bringing Brad Bird’s animated classic to Blu-ray with all sorts of included collectibles. You don’t even need to strike a deal with the Goblin King to pick up the new Labyrinth 30th Anniversary Collector’s Edition. It brings home the Jim Henson classic, starring Jennifer Connelly and David Bowie, inside a deluxe Labyrinth box. If you *really* want to drop a lot of money on a present, WB has the Middle-earth Limited Collector’s Edition, which includes Peter Jackson’s complete Lord of the Rings and The Hobbit trilogies with all previously-released versions and features, housed on an elaborately-crafted bookshelf stand. Naturally, The Criterion Collection (usually considered the Blu-ray gold standard) has some great recent box sets. 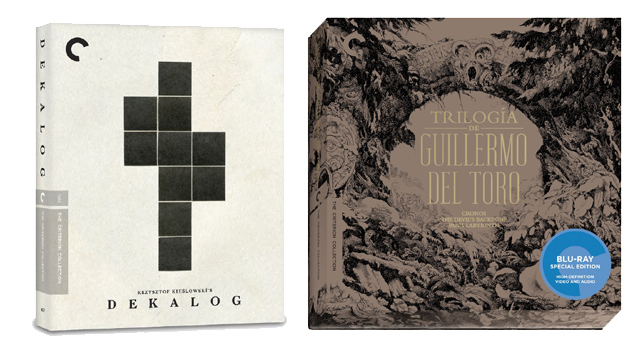 Look for both Krzysztof Kieślowski’s ten-part Dekalog and for the three-film Trilogía de Guillermo del Toro, which includes Criterion editions of Cronos, The Devil’s Backbone and Pan’s Labyrinth. Also in the realm of the supernatural, Arrow Films is just about to release Hellraiser: The Scarlet Box Limited Edition Trilogy, offering a definitive take on the first three films in the Clive Barker franchise. When it comes to horror titles, there are few companies delivering Blu-rays as jam-packed with interesting supplemental materials as Shout! Factory‘s Scream Factory Collector’s Edition line. 2016 has added titles like Wes Craven’s The Serpent and the Rainbow, Michael Mann’s Manhunter and John Carpenter’s The Thing. You can take a look at their whole 2016 line in the gallery viewer below. 2016 also marked the launch of the company’s new Shout! Select line, which you can also explore in the gallery viewer below. Titles include The Adventures of Buckaroo Banzai Across the 8th Dimension, Midnight Run and the two-film Bill & Ted’s Most Excellent Collection. Not to be outdone, Lionsgate has just launched their own horror-themed collector’s label, celebrating Vestron Video classics. Look for definitive Blu-ray editions of cult classics Chopping Mall, Blood Diner, C.H.U.D. II: Bud the Chud and Return of the Living Dead 3. If you know someone who loves showing off his or her home video system, Flicker Alley’s new Cinerama discs are a whole lot of fun. The company has been releasing the big, big screen classics in a “smilebox” format. This year’s new additions include Cinerama’s Russian Adventure and The Best of Cinerama. Other great classic film sets include Universal’s Gregory Peck Centennial Collection, which combines To Kill a Mockingbird and Cape Fear with a set of collectible lobby card reproductions, and The Marx Brothers Silver Screen Collection, debuting on Blu-ray for the first time The Cocoanuts, Animal Crackers, Monkey Business, Horse Feathers and Duck Soup. Next up in our gift guide, Warner Archive continues to bring cinema classics to HD and lately they’ve been focusing their attention on Humphrey Bogart and Lauren Bacall. Look for new Blu-ray editions of The Big Sleep, Dark Passage, Key Largo and To Have and Have Not. On DVD, Warner Archive continues their ’30s and ’40s travelouge series, FitzPatrick Traveltalks, as well as their Forbidden Hollywood and Monogram Cowboy collections. Three entries from the long-running Charlie Chan film series (The Red Dragon, The Feathered Serpent and The Sky Dragon) also come together in a collector’s set. DC Comics has quite a few cool titles for any comic book fans out there. You can get deluxe Amazon exclusive sets of both Batman v Superman: Dawn of Justice Ultimate Edition and the about-to-be-released Suicide Squad. And you can pick up all sorts of entries in the DC small screen universe with shows like Arrow, The Flash, DC’s Legends of Tomorrow, Supergirl, Constantine and iZombie. If the work of Thomas Harris is more the style you’re looking for, the complete Hannibal was just released, offering all three seasons of Bryan Fuller’s incredible small screen adaptation. 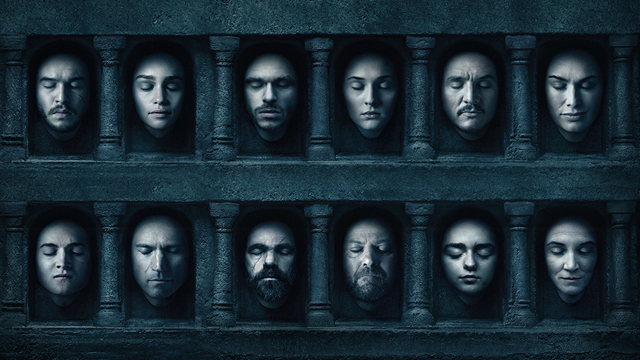 HBO, meanwhile, delivers the entire world of Westeros to date with Game of Thrones: The Complete Seasons 1 – 6. They also just released Looking: The Complete Series and the Movie. You can also give the gift of HBO Now with an HBO Now gift card, offering access to the entire roster of original programming. If you’re looking for comedy, there’s Key & Peele: The Complete Series, collecting the massively clever sketch comedy series that has never failed to elicit a smile from anyone. Then there’s The League: The Complete Series, collecting all seven seasons of FXX’s comedy hit. Shout! Factory also has the latest volume of Mystery Science Theater 3000. With the show returning next year, it’s a better time than ever to revisit Mike and/or Joel and the ‘bots on the Satellite of Love. One of the most popular animated series in recent years, Nickelodeon’s acclaimed The Legend of Korra arrives as a complete series set later this month. With the franchise celebrating its 50th anniversary in 2016, there a bunch of great Star Trek sets now available. Amazon has their own exclusive 3D and 4K Star Trek Beyond that comes packaged with a model of the U.S.S. Franklin. Then there’s a massive Star Trek: 50th Anniversary Limited Edition Box Set that includes on Blu-ray the entire original Trek, Star Trek: The Motion Picture and its first five sequels and, for the first time, the animated Star Trek series. You can also buy individual Blu-ray sets of The Complete Original Series, The Animated Series, The Next Generation and, getting released this week, Star Trek: The Original Series – The Roddenberry Vault. 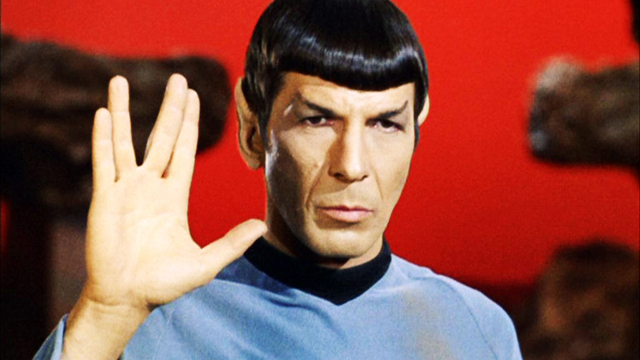 The latter set offers newly-released archival footage from the making of the original series. We started this 2016 Holiday Gift Guide in the third dimension, but now you’re crossing over a different dimension. One not only of sight and sound, but of mind. Your next stop? The Twilight Zone: The Complete Series. The out of print Image Blu-ray returns at a hugely-reduced price point (especially compared to the recent aftermarket price of the original set). All five seasons of Rod Serling’s classic anthology series arrive in a 24-disc set. Two other classic TV shows get the complete series treatment on DVD with both Crime Story: The Complete Series and The Naked City: The Complete Series. Fans of The Walking Dead, then, might have their eye on the new Season Six Limited Edition set. Every year, AMC releases the latest season packaged with an impressive collectible statue from McFarlane Toys. This year’s set references one of the season’s most memorable walker deaths. 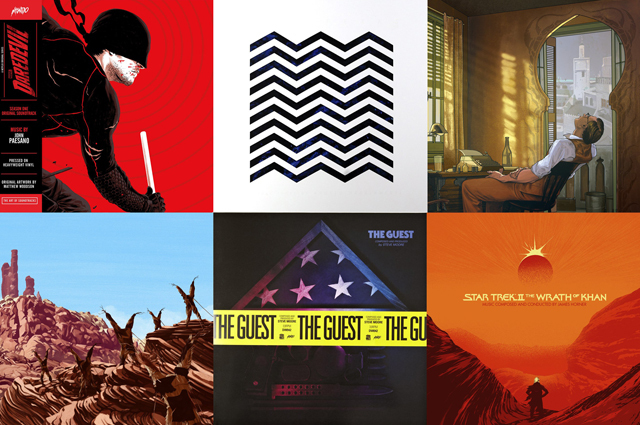 While they’re not exactly movies themselves, we’re also giving a quick gift guide shout-out to Mondo‘s incredible line of vinyl movie soundtracks. The Austin-based company — long famous for its collectible movie art prints — has, with vinyl, struck a great balance between collectibility and availability. Part of what makes any one of these a great gift (browse the full selection by clicking the image above), is that you’re far less likely to wind up giving someone something they already have. Even if you don’t have a record player, each of these is designed to look great in a frame. What’s more, the company continues to push the boundary on fun ways to be a movie lover/collector with clever, meta releases like a Fight Club IKEA box package that you have to destroy to open. (Sadly, the Fight Club one is temporarily sold out and it sounds like the next pressing won’t be until after the holidays). Finally, it’s back to the real world! Sports fans should love (or hate) Shout! Factory’s Cubs: World Series Champions 2016, while 20th Century Fox Home Entertainment has a fun treat with Brain Games: The Complete Series, collecting all seven seasons of National Geographic’s popular educational program. Did our Gift Guide miss anything? What’s on your wish list this year? Let us know in the comments below!